2014 marked the 50th anniversary of the existence of the fax machine. This trusted medium of communication changed the face of business communication and continues to do so as the industry is continuously transformed and innovated by technology. Here is a list of trends to keep an eye open for in the industry. This brings together fax servers with cloud Faxing. This will help a great deal in saving the company money and time when compared to sending faxes the traditional way. In simple terms, FoIP is sending faxes through the internet without the use of a fax machine. This can reduce the cost of sending faxes considerably, for example when you are sending faxes between two IP fax machines the charges will be the same as the cost of sending an email. There is no need to buy a new fax machine to send faxes through internet protocol, as long as you have access to internet bandwidth. Multifunctional printers continue to rise in popularity as they centralize different functions that previously would have seen the need for individual machines. These printers are available from different manufacturers and using products like the FaxFX fax printer can also help in centralization. Browse our site and learn more about the benefits of using this product. Keep up to date with the latest developments by reading our blog regularly to learn about the latest trends that could make your business communication easier. 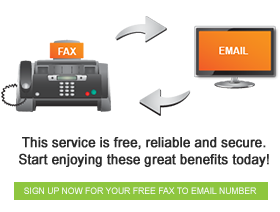 ⇐ Free Fax-to-Email -What’s the Catch?